Eminem's The Marshall Mathers LP 2 returns to the #1 spot on The Billboard 200, displacing Lady Gaga's ARTPOP, which tumbles to #8 after a single week on top. (More on that in a minute.) All seven of Eminem's #1 albums have spent multiple weeks at #1. Since 1991, when Nielsen SoundScan began tracking music sales, only two artists have had seven albums that each logged multiple frames at #1: Eminem and Garth Brooks. 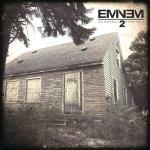 The Marshall Mathers LP 2 has sold 1,124,000 copies in its first three weeks, which puts it at #6 for the year-to-date. This will be the sixth year that Eminem has placed an album in Nielsen SoundScan's year-end top 10. Only two other artists, Brooks and Mariah Carey, have achieved that feat. Eminem previously scored with The Marshall Mathers LP (#2 for 2000), The Eminem Show (#1 for 2002), Encore (#3 for 2004), Relapse (#8 for 2009) and Recovery (#1 for 2010). In the coming week, The Marshall Mathers LP 2 will pass Drake's Nothing Was The Same (1,130,000) to become the year's best-selling hip-hop album. This is Eminem's fourth album to return to #1 after being kicked out of the top spot. The Eminem Show, Encore and Recovery also showed that resiliency. Eminem's new album also returns to #1 on Top Digital Albums. It sold 51K digital copies this week. 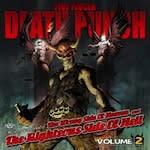 Five Finger Death Punch's fifth studio album, Wrong Side Of Heaven & The Righteous Side Of Hell, Vol. 2, debuts at #2. Vol. 1 debuted and peaked at #2 in August. Did you notice that both the #1 and #2 albums are sequels? Sequels have been big at the box-office for decades. We're starting to see more and more of them on the record charts. Four other sequels appear in this week's top 50: Justin Timberlake's The 20/20 Experience (2 Of 2), The Beatles' On Air—Live At The BBC, Volume 2, Mannheim Steamroller/Czech Philharmonic Orchestra's Christmas Symphony II and 2 Chainz' B.O.A.T.S. II: ME TIME. 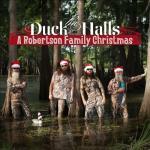 The Robertsons' Duck The Halls: A Robertson Family Christmas holds at #4 for the second week. It's #1 on Top Country Albums for the fourth week. It's #1 on Top Christmas Albums for the third week. Over the past four weeks, the number of Christmas albums on The Billboard 200 has swelled from 18 to 25 to 38 to 46. How high will that number go? Stay tuned. The Christmas albums on The Billboard 200 include some old standbys. And I do mean old. Frank Sinatra's Christmas Songs By Sinatra first charted in1949. Bing Crosby's White Christmas is an adaptation of his Merry Christmas, which first charted in 1945. 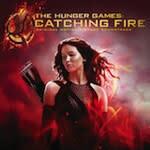 The soundtrack to The Hunger Games 2: Catching Fire debuts at #5. The soundtrack to the first The Hunger Games movie debuted at #1 in March 2012. There have been only two other movie franchises where the first two installments both spawned top five soundtrack albums: Star Wars and Twilight. The new album enters Top Soundtracks at #1. The soundtrack from the first movie headed that chart for five weeks. It wound up as last year's best-selling soundtrack. (There's little chance of The Hunger Games 2 equaling that feat. Pitch Perfect has that title in the bag, with sales of 734K so far in 2013.) Last but not least, the sequel was #1 at the box-office over the weekend. The first movie was #1 for four straight weekends. As noted, Gaga's ARTPOP drops from #1 to #8. That's a big disappointment: Gaga's previous album, Born This Way, spent its first two weeks at #1. After two weeks, ARTPOP has sold 305K copies. After two weeks, Born This Way had sold 1,285,000 copies (including 845K at full price). Sales of Gaga's album dropped by 82% this week. Only three #1 albums in the Nielsen SoundScan era have experienced such steep drops in their second week. (Madonna's MDNA dropped by 87% in its second week; Gaga's Born This Way dropped by 84%; Mac Miller's Blue Slide Park dropped by 83%.) But it's not fair to make too much of this. Albums are simply taking steeper second week drops than they used to. Of the 10 #1 albums that have experienced second week drops of 78% or more, nine have been released since December 2010. Cities 97 Sampler, Vol. 25 debuts at #10. This is the 25th annual installment of the Cities 97 sampler, which consists of live, in-studio recordings from radio station Cities 97 (KTCZ-FM) in Minneapolis. This year's volume includes songs by such hit-makers as Capital Cities, Phillip Phillips, Neon Trees, fun. and Passenger. Proceeds go to Minnesota-based charities. 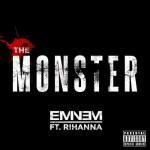 "The Monster" by Eminem featuring Rihanna holds at #1 on Hot Digital Songs for the third week (241K). The team's "Love The Way You Lie" was the best-selling digital hit for seven weeks in 2010. Will "The Monster" knock Lorde's "Royals" off its throne on the Hot 100 this week? You'll find out later today when we post my Songs blog. Here’s a recap of this week’s top 10 albums. The Top Five: Eminem's The Marshall Mathers LP 2 rebounds from #2 to #1 in its third week (120K). It has been in the top five the entire time…Five Finger Death Punch's Wrong Side Of Heaven & The Righteous Side Of Hell, Vol. 2, debuts at #2 (77K). It's the band's fourth top 10 album… NOW 48 holds at #3 in its second week (63K)… The Robertsons' Duck The Halls: A Robertson Family Christmas holds at #4 for the second week in its fourth week (60K). It has been in the top five the entire time… The Hunger Games 2: Catching Fire soundtrack debuts at #5 (55K). 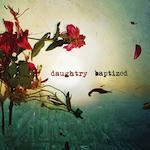 The Second Five: Daughtry's Baptized debuts at #6 (55K). It's the band's fourth top 10 album… Yo Gotti's I Am debuts at #7 (47K). It's his first top 10 album… Lady Gaga's ARTPOP drops from #1 to #8 in its second week (46K).…Kelly Clarkson's Wrapped In Red drops from #6 to #9 in its fourth week (44K). It has been in the top 10 the entire time…Cities 97 Sampler, Vol. 25 debuts at #10 (40K). Katy Perry's Prism, which drops from #5 to #11 this week, tops the 500K mark in its fifth week of release. That's faster than either of her previous releases. Perry's 2008 debut, One Of The Boys, took 20 weeks to reach 500K. Her 2010 sophomore album, Teenage Dream, took nine weeks. The Beatles' On Air—Live At The BBC, Volume 2 drops from #7 to #29 in its second week. It's only the second Beatles album ever to drop out of the top 10 after just one week. The first was 2003's Let It Be…Naked. Three other albums drop out of the top 10 this week. Jhene Aiko's Sail Out drops from #8 to #30. Drake's Nothing Was The Same drops from #9 to #14. Lorde's Pure Heroine drops from #10 to #12. 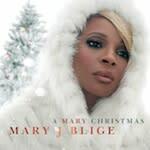 Mary J. Blige's A Mary Christmas leaps from #21 to #13 in its sixth week, as a result of a promotion at HSN (Home Shopping Network). This is its highest ranking to date. Michael Buble's 2011 album Christmas jumps from #21 to #19 in its 24th chart week. It's #1 on Top Catalog Albums for the 11th week. Susan Boyle's Home For Christmas rebounds from #23 to #20 in its fourth week. The album debuted and peaked (so far) at #19. Holiday album king David Foster produced Blige's album and co-produced Buble's. Nickelback's The Best Of Nickelback, Volume 1 debuts at #21. In days of yore (before iTunes made greatest hits albums far less consequential), this would have been a top five album. Adele's 21 this week becomes the first album to sell 3 million digital copies. 21 has sold 10,798,000 copies in all, which puts it at #13 on Nielsen SoundScan's running tally of the best-selling albums since 1991. Here's the breakdown: The album has sold 7,757,000 CDs (72% of the total), 3 million digital copies (28%) and 40K vinyl LPs (less than 1%). As of this week, Lynyrd Skynyrd has sold 20 million albums in the Nielsen SoundScan era. The band released its first album in August 1973, so this tally doesn't count its first 17 years and five months of sales. Its biggest digital hits are "Sweet Home Alabama" (3,121,000), "Free Bird" (2,111,000) and "Simple Man" (1,333,000). Robbie Williams' Swings Both Ways enters the U.K.'s Official Albums Chart at #1. The album, a sequel to Williams' 2001 swing album, Swing When You're Winning, is Williams' 11th solo album to reach #1. For all his success in the U.K., Williams has never really caught on in the U.S. His highest-charting album (solo or as a member of Take That) on The Billboard 200 is Escapology, which peaked at #43 in 2003. Two music videos got off to fast starts this week. Rush's Clockwork Angels sold 25K. 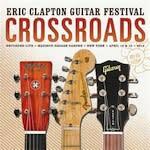 Eric Clapton's Crossroads Guitar Festival 2013 sold 19K. Rush's tally is the highest first-week tally for a video since One Direction’s Up All Night—The Live Tour started with sales of 76K in June 2012. It’s the highest one-week tally for a video by a rock band since Rush’s previous video, Beyond The Lighted Stage, started with 34K in July 2010. 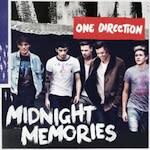 Coming Attractions: Look for One Direction's Midnight Memories to debut at #1 next week with a total north of 550K. Also vying to debut in the top 10: A Day To Remember's Common Courtesy (45K) and Danielle Bradbery's eponymous debut album (35K). Bradbery was The Voice's Season 4 champ.